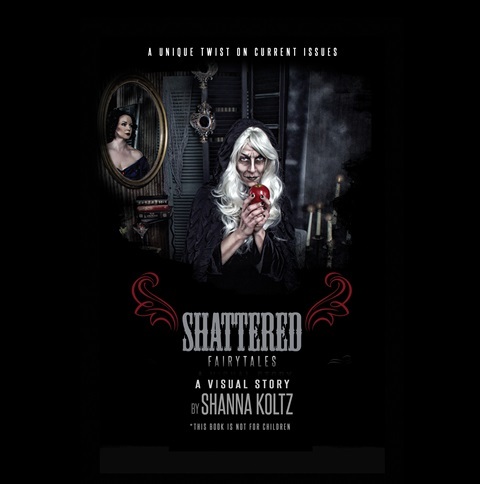 This is a visual story designed to accompany "Shattered " an art exhibit by Shanna Koltz.. This is the final fine art piece. PLEASE BE AWARE: This book covers some adult topics and It is not suitable for children. Have you ever asked yourself, “What happened after the fairytale was over?” “Was the Prince really charming?” or “Was he a cheating womanizer?” Everyone has their own personal story to tell. Everyone has been shattered in one way or another. This series is a glimpse into our current society through the secret lives princesses. Although we all have issues, we also have something to give… whether it be a helping hand, a shoulder to cry on, tough love, compassion, donations or our time. We can make a difference in our world and in the lives of others. I believe that overcoming personal struggles will create character, depth, and understanding. Hardships in life shape our convictions and ultimately make us who we are meant to be. So why hide the truth? It is time to stop fantasizing, break open the books and get to know the princesses for who they are. What I would like to get out of this series is a platform from which to provide awareness, share statistics, list helplines and shine a light onto some of the social issues that affect our society (and our world) today.. The next time you think someone has it all together and that their life is perfect, remember this series. Don’t judge a book by its cover. (A Modern Day look into the lives of the princesses). In this photo series we will open the cover to your favorite fairytale and show you what really lies behind the castle walls. Not every fairytale has a happy ending. Interactive Photography Exhibit. 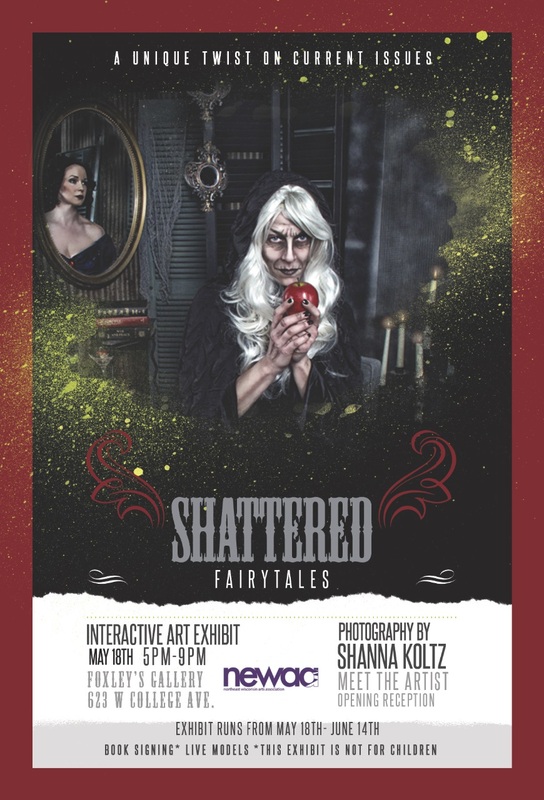 Shattered Fairytales Watch for next showing.